Invicta Men's Gold Plated Watch Just $78.99! Down From $795! PLUS FREE Shipping! 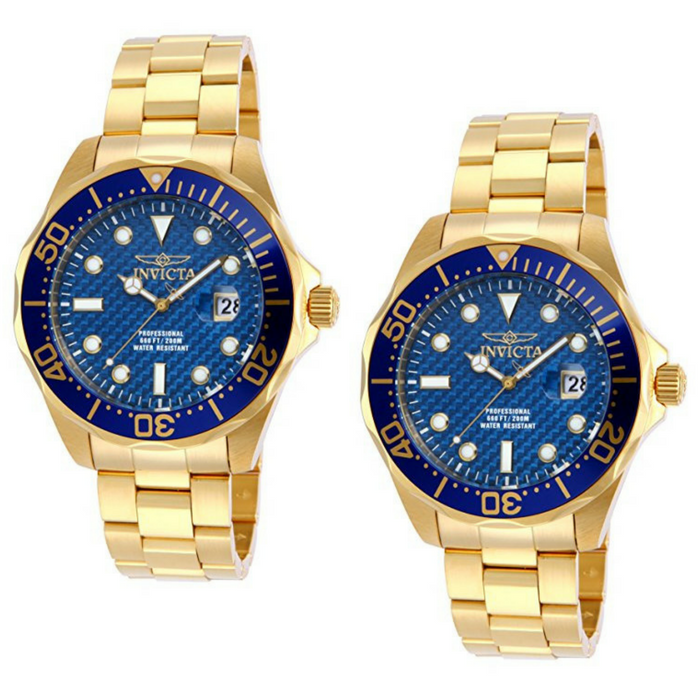 You are here: Home / Great Deals / Amazon Deals / Invicta Men’s Gold Plated Watch Just $78.99! Down From $795! PLUS FREE Shipping! Invicta Men’s Gold Plated Watch Just $78.99! Down From $795! PLUS FREE Shipping! Looking for a gift this Valentine’s Day? Amazon has this Invicta Men’s 18K Gold Ion-Plated Watch on sale for just $78.99 down from $795 PLUS FREE shipping! This watch features a gold-tone stainless steel case and a band that closes with a fold-over safety clasp. The stainless steel case provides a unidirectional rotating bezel and a stunning blue dial. The dial has luminous hands and hour markers and magnified date window. This watch also features a mineral crystal and push-pull crown.